Are new home estate roads being adopted by the council? It started with house builders using shared driveways, a way to cram even more homes onto a development. 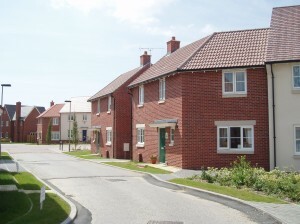 Now there is a growing trend towards privately owned estate roads on new home developments. House builders are claiming this move is being driven by the local authority’s refusal at the planning stage, to adopt estate roads under a section 38 agreement, presumably to avoid future maintenance costs to the council taxpayer. However, the move to privately owned road access means that many new home owners are unwittingly signing up to years of ongoing management charges and contributions to a sinking fund to cover future maintenance and repairs. As a private road, all home owners will share the legal and financial responsibility being sent bills from a management company to cover public liability insurance, road sweeping, drain clearance, administration, street lighting and road signage, as well as any repairs that become necessary from time to time. Buyers could also find that any landscaped areas or public open spaces on the development also remain under private ownership, meaning grass cutting costs etc. will also be incurred. So whilst buyers may be buying a freehold new house, they could well find they are liable for regular charges and fees much the same as many leaseholders have to pay. It is vitally important that all prospective new home owners ask the sales advisor at the outset, if the roads will be adopted by the local authority under a section 38 agreement on completion of the development. If the answer is no, then buyers would be well advised to look elsewhere as they may have no control over the level of future charges, even if currently they are affordable. In addition the house builders will be free to build the roads to their own standards and specifications, not the adoptable standards local authority highways departments insist on under a section 38 agreement.